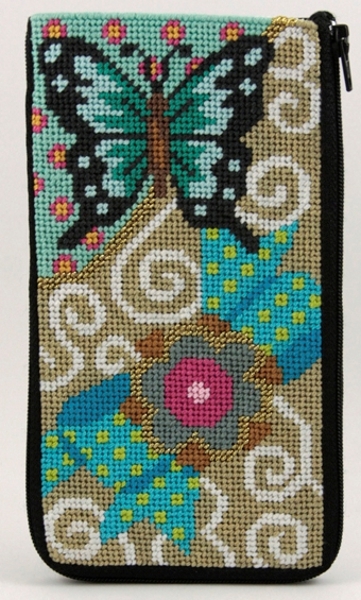 Stitch & Zip™ Preassembled Needlepoint Eyeglass Cases are available in several designs. These unique needlepoint kits offer many different uses. They are not just your typical eyeglass case; they can be used as mobile phone cases, pen holders, etc. You can add beads, straps, gem stones to your case and make it your own. There are no limits as to what Stitch & Zip™ products can be used for. Alice PetersonStitch & ZipNeedlepoint kits come preassembled. Includes 14 count cotton mesh canvas, nylon zipper, fabric back, 100% cotton threads, needle & easy to follow instructions. No finishing required!! !